Our office is dedicated to assisting out of town patients. We have patients from all over the globe come to our office for various procedures. Dr. Pancholi has written an eBook to make planning your cosmetic surgery travels as convenient as possible. Click here to download Las Vegas Medical Tourism Guide: Traveling for Cosmetic Surgery. With so many factors involved with traveling and surgery, our goal is to make this as easy as possible for you by providing everything from information on your chosen procedure(s) to airport shuttle times. By reading through this section, we hope that you have a better understanding on what to expect when planning to travel for your procedure. How long Should I plan to stay in Las Vegas? Where can I stay for my cosmetic surgery experience? Who can take care of me at a hotel after surgery? Which airport will I use? What are my transportation options while in Las Vegas? How can I schedule a consultation with Dr. Pancholi? There are two scenarios when it comes to our out of town patients: Those who can come into the office for an in-person consultation with Dr. Pancholi, and those who cannot. If you can come into our office for a consultation, Dr. Pancholi will meet with you and review your area(s) of concern and chosen procedure(s). He will discuss options, expectations, results, and recovery along with your ability to travel afterwards. Dr. Pancholi will spend much of your consultation time listening to you. Then, he will suggest treatment options based on what you wish to achieve. Next, you’ll meet with our patient coordinator, who will guide you through the surgical process, provide you with a surgical itinerary, and answer all of your questions. She will provide you with important information about the procedures you discussed that day, a price quote, a list of necessary pre-op medical clearances, as well as prescriptions for medicines needed should you choose to proceed. If you’re unable to come in for consultation, we offer phone/email consultations. For this to be effective, we ask that you complete our medical history form and provide pictures of the areas you wish to discuss prior to the consult. Dr. Pancholi will review this information prior to your scheduled phone/email consultation so he is ready to discuss your options. I had been looking for a cosmetic surgeon for 2 years around Los Angeles and Las Vegas….I had to see whom I trusted the most and who understood the basis of my needs. 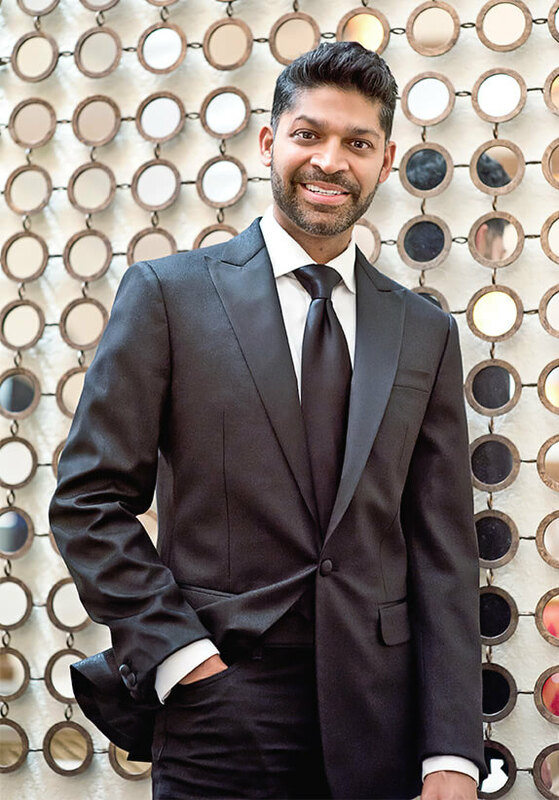 I finally found Dr. Pancholi and the instant I walked in, I knew this was for me….He has the most gentle and caring staff who knows you on a one-on-one basis and tends to his clients until he is at ease with the outcome of their procedure. Walking in to this office and choosing Dr. Pancholi was most definitely the BEST DECISION OF MY LIFE! The best part is, I had and will continue to have an amazing relationship with his staff! When taking photos, capture the five following angles for each area of interest: Front, left, right, 45 degrees left, 45 degrees right. With some areas, additional angles may be needed. After your phone/email consult, our patient coordinator will email you a customized packet of information discussing your proposed procedure(s) and including a price quote, post-surgery instructions, and any pre-op medical clearances that may be needed. Clearance tests or exams may be completed with your personal doctor if preferred. Patient safety is our highest priority. Depending on your age and procedure, there may be different requirements. We will do everything to help you with this process. After reviewing your quote and information, the next step is selecting a surgery date. Securing a date requires a deposit of 20% of the surgery quote total. Payment options include Visa, Master Card, American Express, Cashier’s check (To Cosmetic Surgery of Las Vegas). Wire transfers are available. All payments must be completed prior to the day of surgery. Like many life experiences, your cosmetic surgery experience can be improved with advance planning. There is much to consider at this exciting time, so be sure to work closely with Dr. Pancholi and his staff to help consider your surgery from the beginning to end. A well designed recovery can increase your safety, comfort, and peace of mind. As with any surgery, some swelling, discomfort and bruising is expected. We offer a recovery program known as Vita-Medica to help you get back on your feet faster. This medical grade recovery support program uses a unique combination of nutrients and vitamins to accelerate wound healing, support the immune system, minimize inflammation, and reduce bruising & swelling. Below are some general timelines when planning out your stay with us. Please keep in mind that this timeline is what we have seen on average. These times may change depending on your own personal healing process and schedule. PLEASE NOTE: Whenever traveling greater than 5 hours, it is important to talk with Dr. Pancholi for special instructions to minimize complications and discomfort with traveling after surgery. Overall, you will be expected to walk for at least 5 minutes every 2 hours while traveling. In addition, while sitting flex and extend your ankles and knees to help improve circulation. Where can I stay for my cosmetic surgery in Las Vegas? When planning your surgery, consider where you’ll be staying. Listed below are many useful links to help with your planning, including nearby hotels and resorts. We do not endorse any of the information presented below but present it merely as a resource for your assistance. JW Marriott Las Vegas Resort & Spa offers a more sophisticated approach to the bright lights and sounds of the Las Vegas Strip. Escape to this serene boutique-like resort offering a golf concierge and Aquae-Sulis Spa. Ultimate Luxury. 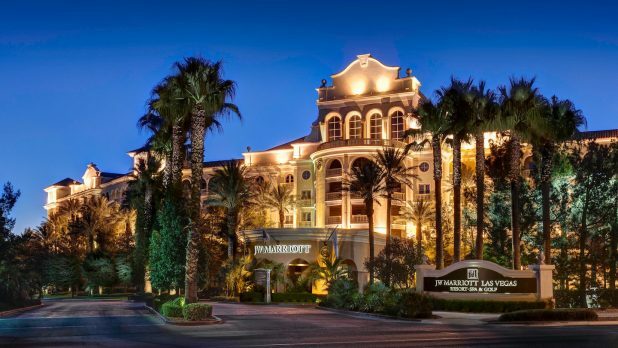 Though the grounds of this Las Vegas Resort are breathtaking and the views are spectacular, the inward beauty of the resort’s 548 guestrooms and suites is what has captured the rave reviews of departing guests. 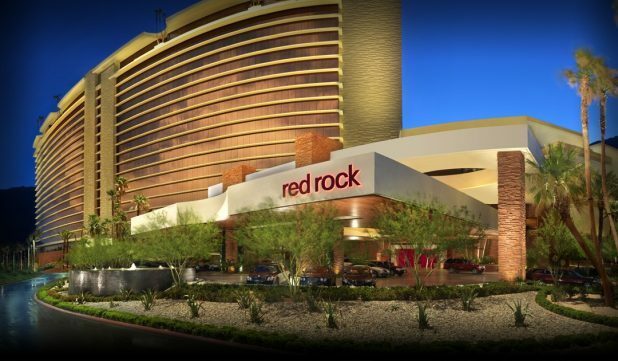 Red Rock’s serene surroundings, distinctive décor and impeccable standard of service ensure that your Las Vegas hotel stay is flawless and fabulous. Exquisite hotel rooms and suites offer an unmatched combination of comfort, extravagance and value while inspiring mountain vistas will transfix you during your Las Vegas vacation, travel or getaway. Whether relaxing in their expansive pool back yard, playing your hand at poker or savoring a first-class meal, Red Rock Resort & Spa has a flavor for all your tastes and desires during your Las Vegas vacation. With their special Las Vegas package deals, you can melt away with a smoothing spa treatment or massage, tee off at one of the area’s championship golf courses, or go on an outdoor adventure to nearby Red Rock Canyon. Waiting for you on return are all the lavish amenities of one of the premier Las Vegas hotels – fine dining for every taste, thrilling Vegas casino gaming and exciting nightlife and entertainment. For more information please visit www.redrocklasvegas.com. 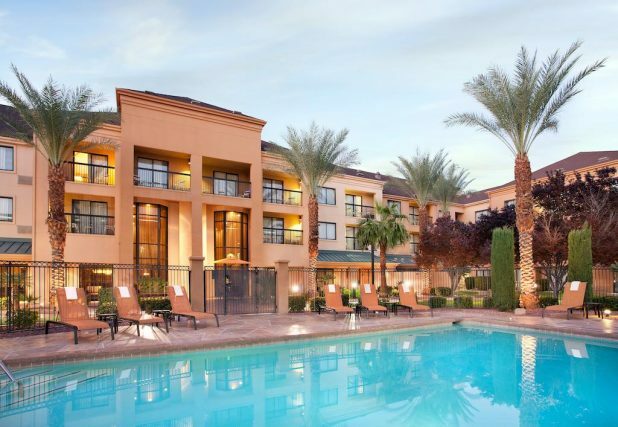 The Courtyard Las Vegas Summerlin hotel by Marriott gives visitors the best of both Las Vegas worlds with our close proximity to the fabulous Las Vegas Strip and the rugged foothills of the Spring Mountains. Enjoy hiking and rock-climbing at Red Rock Canyon or live it up at the world-famous casinos, restaurants and shopping malls of the Strip. Back at our Courtyard Las Vegas Summerlin hotel, you can relax in our outdoor pool, soak in the Jacuzzi or get a brisk workout in our on-site fitness center. Our hotel guest room accommodations include coffee maker, luxurious Marriott bedding and custom comforters. With all of their excellent accommodations, they hope you’ll make them your choice among Northwest Las Vegas hotels. Who can take care of me at my hotel after surgery? Traveling with a companion is the best way to ensure that your aftercare needs are met during the initial recovery period. Having a friend or family member assist you for at least 24 hours after surgery is highly recommended. Please note: you will be unable to drive yourself to or from the surgery center on the day of your procedure. A service to consider is Starfish Resources. If you are already staying with family, friends, or in a hotel, they can help provide you with transportation and setting up care should your need it. They may be reached at 702.871.2953 or at www.starfishresources.com. McCarran International Airport serves as the initial visitor gateway to one of the most exciting resort destinations in the world. The Aviation Group ensures that the mix of more than 40 Airlines and numerous Aviation Support Service operators reflect the high standards of the visitors and residents of Las Vegas. If you can’t locate the information you are looking for on our web pages, just call McCarran Airport directly. You will need to plan your transportation carefully before and after surgery. You will not be allowed to drive yourself to and from the surgery center on the day of your procedure. The best option is to have a trusted family member or friend travel with you to Las Vegas and be available to accompany you to and from your surgery. *NOT ALL TAXICABS IN SOUTHERN NEVADA ACCEPT CREDIT CARDS. Whether you can come to our beautiful office in Las Vegas or need to conduct your consultation long-distance, you can call us at 702.363.0240 or contact us online anytime to schedule your appointment with Dr. Pancholi. We are also happy to answer any questions you may have at any time.